Warface is a free to play online shooter that has over 5 million players and has been around for a while. You don't own it yet? Probably because you are not Russian. If you live in the rest of Europe or America you can now finally get your hands on the 5 player co-op shooter. The game is available to play in PC browsers via Crytek's hub GFACE. The game can be played in English, French, German or Turkish, with new languages to be added in the future. The written word will not be the only things that is added to the game as Crytek plan to regularly update content which includes the 5 player co-op missions. The new launch trailer compares the battles in Warface to a game of chess. I used to play chess quite a bit and cannot remember any bouts of open gunfire? 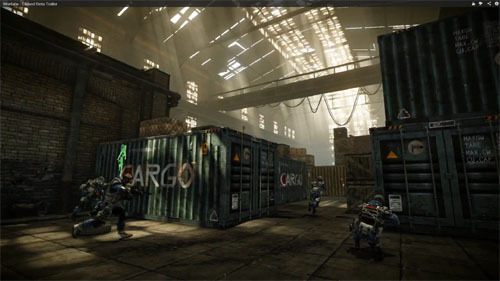 Warface is available on PC now and is planned for a 360 launch some time in 2014. Is this the game that proves once and for all that Free-to-Play does not have to be a dirty word?